Welcome to the California Fire Chiefs Association (CalChiefs) web site. We have designed this site to incorporate all eight (8) of our Sections and parent organization under one web address. CalChiefs is a large and diverse professional association whose vision is to be the voice of the California Fire Service. Fire chiefs comprise the parent body of the Association and operate with a nine (9)” member Executive Board and an additional twelve (12) Area Directors, seven (7) north and five (5) south, to complete the full Board. (see Divisions/Areas Map) CalChiefs membership comes from the more than 800 fire agencies operating in the state of California. Member organizations consist of municipal fire service agencies and fire districts (paid, combination & volunteer), state and federal government agencies, and corporate fire brigades. Our members range from fire chiefs, executive staff officers, administrative support staff, EMS personnel, associated colleagues from fire service support organizations, and vendors. CalChiefs Sections cover the spectrum of fire and EMS delivery and a full range of topic specific expertise. It is this depth of knowledge and resources that provides our ability to actively engage in legislation that affects service delivery througout our great state, as well as be actively involved in national issues. All legislation that has an EMS, fire or life safety component, employment, labor, retirement, or fiscal impact CalChiefs reviews and/or engages. We have legislative advocacy firm and an active Legislative Committee that monitors, and works on, legislation key to fire service interests at the State Capitol. 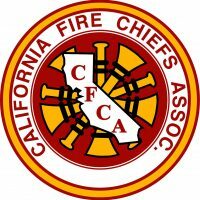 Our Area Directors communicate with the various county fire chiefs associations, keeping them apprised of current events with the California Fire Chiefs Association. CalChiefs has representation on numerous statewide commissions, boards and committees such as the Emergency Medical Services Agency (EMSA), 9-1-1 Advisory Board, State Training Education & Accreditation Committee (STEAC), Firescope (CCS), State Board of Fire Services (SBFS) and others. We also maintain relationships with the League of Cities, Fire Districts Association of California (FDAC), California Professional Firefighters (CPF), California State Firefighters Association (CSFA), California Police Chiefs Association (CPCA), Western Fire Chiefs Association (WFCA), the International Association of Fire Chiefs (IAFC) and others.